Spend a few hours, an entire day, or a week or more paddling lazy rivers draped with Spanish moss. Stop for a while on a sand bar or sandy beaches for picnicking and sunning. Take a dip in the crystal clear spring runs. Enjoy exhilarating rushes through limestone rock shoals or paddle estuaries and back bays where manatee and dolphin play. Cool off under the shade of cypress swamps teeming with wildlife, or through mangrove tunnels. 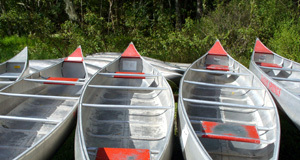 Florida waterways offer outstanding camping, fishing, serenity, exercise - and most of all - FUN! 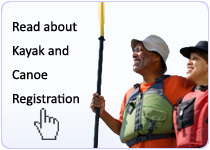 And the best way to experience these waterways is through a professional paddlesport outfitter. The members of FPPA are professional paddlesport outfitters and retailers who are up to date on current regulations and safety issues. They believe strongly in protecting the waterways of Florida, the resources that provide their livelihood. They believe in continuing education. They are the experts in the paddlesport industry. See an FPPA member and GO With A Pro! The FPPA Member Directory enables a complete search of our membership database. 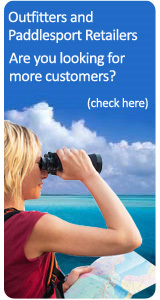 You can search by outfitter's name, activity or by location. The search results will give you outfitter's names, addresses, a toll-free phone number (if available), the region, rivers or waterways the outfitter offers trips on and more. Invitation extended to current members and professional outfitters and retailers in the paddlesport industry interested in membership. This is an FPPA business meeting. The February meeting was postponed to let people enjoy an early start to the season do to favorable weather in most of the state.